My choice of subject for this week’s challenge couldn’t possibly be anything other than ‘family’ in general, and specifically ‘family vacations’. I’ll confess I didn’t realize it at the time, let’s face it who does? – but I look back at the images below with immense feelings of nostalgia for those moments in time/life – that depict a less hectic existence, devoid of the responsibility adulthood eventually brings. I know I took for granted hopping on an aeroplane during summer break to mainland Spain, or one of the vibrant surrounding islands. There, as a child, I was outgoing and tenacious enough to strike up conversations and even befriend the local kids, despite the fact that we didn’t share a common language. That didn’t matter so much/at all, because we shared the spirit of adventure and an inquisitive mind. 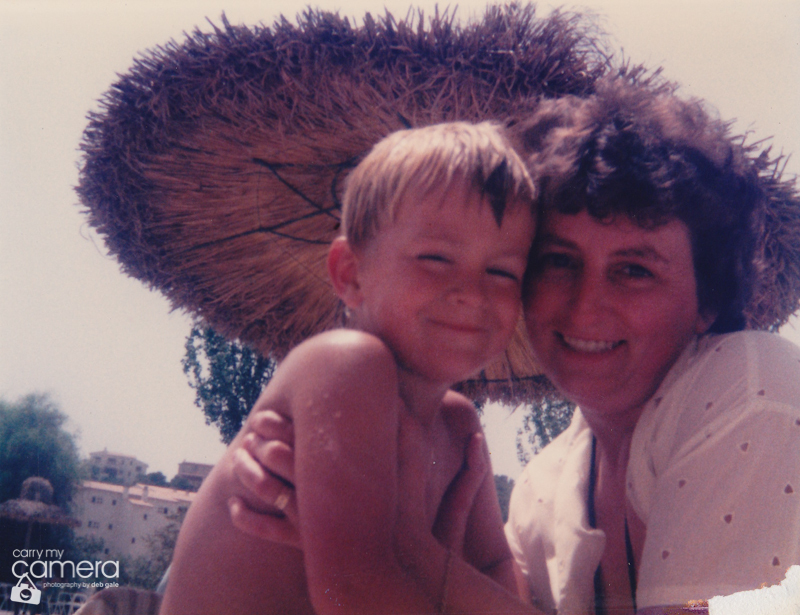 I enjoyed being the eldest sibling and leading some of those adventures, knowing we could retreat safely back to the care of our parents, relaxing there by the hotel pool, at any time. Vain as it sounds (and was! 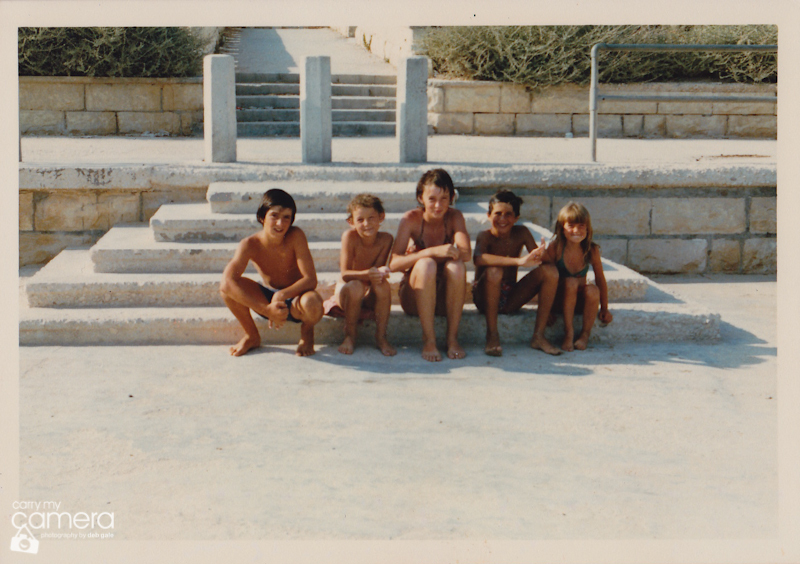 ), I also enjoyed beginning the next school year (grade) sporting a mediterranean quality sun tan that was the envy of many of my class-mates. Needless to say, I’m paying for it now, literally, with gallons of anti-wrinkle cream! 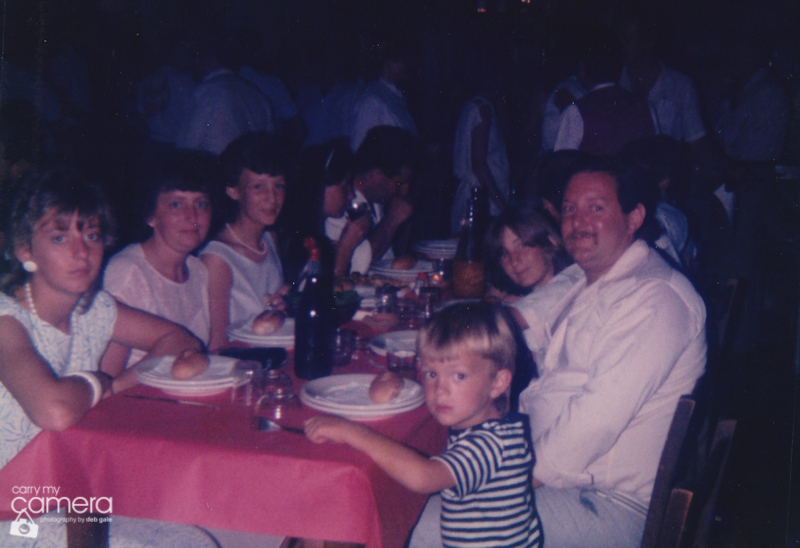 Family vacations always came with mixed feelings and moods, needs and desires, and rarely were all members on the same page at any given time. A cliché of laughter and tears if you will, but given the chance to do it over, would I change a thing? – not a chance! 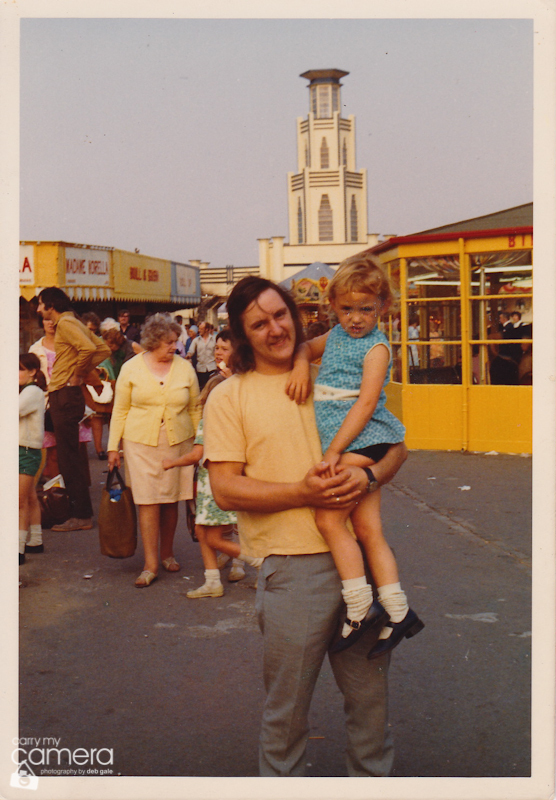 Dad and me, I think at Southport fairground and I think, prior to or just around the time my siblings started to arrive. We were lucky to be able to travel to what were at the time quite exotic vacation destinations, when growing up in North West England that is. 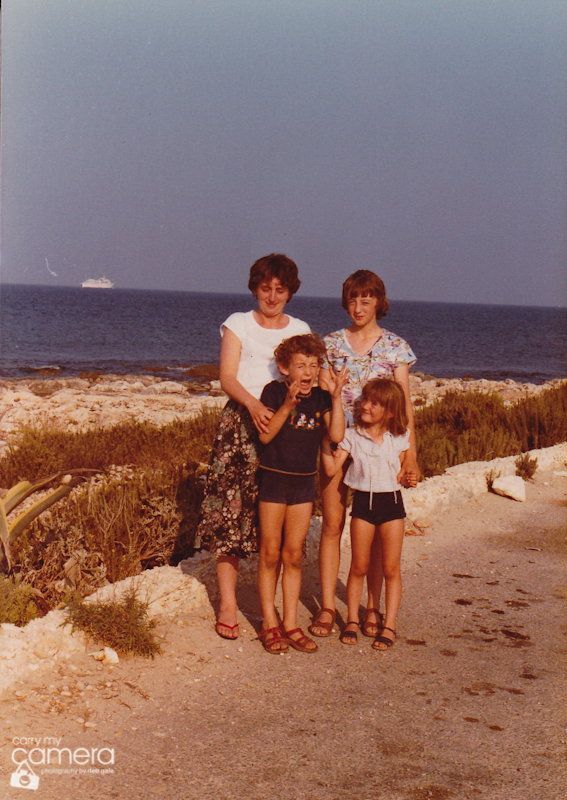 Like the shot above taken in Malta – by this time sisters # 1 & 2 were on the scene. More Malta and I can’t recall for sure, but looks like Sis was freaking out over bee or wasp action! Along came the baby bro and this changed the dynamic of family vacations once again as we all doted on him. Possibly my last or 2nd to last vacation with the whole family. Although the look on my face belies it, the fact is I was still glad to be part of that safe place that was/is family.